On this thread, you can post suggestions as to what tournaments should be hosted on the site! When you post suggestions, please make sure that you include all rules that will apply to your tournament and the amount of members in it. The most popular tournaments, determined by those with the most votes, will be hosted next. Old and not-so-popular suggestions will be hidden over time to prevent clutter. Please check through the existing answers and the tournament winners pages linked above to make sure your suggestion hasn't already been made. Take note that these tournaments will not be hosted on the 3DS, but on a Pokemon simulator called Pokemon Showdown. Also if you have a new suggestion that has not been suggested, post it and see if it gets support! Please read the selected answer (the first answer you'll see) for additional information. Add any extra details or more complicated rules at the end. These rules will be default in case you forget to add those complicated rules. Changes to bans (OU bans or bans in the tournament) start applying when a new round starts. Battles are to be held on the Pokemon DB Showdown! server. Save replays and show them to the host. You can make them private if you don't want anyone else to see them. Players can change teams between battles. If someone disconnects during a battle, then the opponent can take the win or redo the battle. Ok, so signups begin June 16th or does the tournament begin June 16th? If so, when are signups? I can't signup Wednesday, Thursday, and Friday. Read the original post. If you don't see your answer, then read it again. Got it. Just making sure. The new “seasonal format” is twice a season, right? If you have an idea, then share it. But we really don't need seven people trying to have tournaments constantly. If you like an idea, upvote it. If you don't like it, downvote. Highest voted suggestions will go first. Post whether your tournament is going to have 4 people, 8 people, 16 people, or any number of people. Tournaments can only go with a moderator's go. Challonge match-ups cannot be used. You must have the match-ups written on the post. No signing up for the tournament before it gets a meta question. Tournaments require at least six upvotes before they can go. Tournaments in negatives will be hidden. If a tournament seems like it will be best held for a special occasion, it will be postponed until that occasion. You must put matchups in the post. Not in an answer, it just makes it difficult. Why aren't the tournaments proceeding? We take breaks in between tournaments, and people have to meet each other. We have due dates. If you make the tournament are you garunteed a spot? No, you can enter it only if you want to. commented Aug 29, 2014 by !'•-Indigo-•'! Why are we not allowed to use Challonge? Also, since Ninja's gone, do we not have to listen to him any more? I can't believe this hasn't been suggested already. The unique aspect of this tournament makes you use different skills than you would in a regular battle. Instead of creating a team of 6 Pokemon, you only make a team of 3. For each battle, both competitors combine their Pokemon into one team. For example, if I picked Talonflame, Aegislash, and Caterpie, and my opponent picked Arceus, Smeargle, and Jolteon, we would both merge so that we'd battle each other with the same exact team (Talonflame, Aegislash, Caterpie, Arceus, Smeargle, and Jolteon). Nothing (movesets, items, EVs, etc.) may be changed when you merge teams. Then the battle begins! Since you have the same exact team as your opponent, the winner of each battle will be determined by how skilled each player is at handling the Pokemon presented to them. So, that's my tournament idea. If you like it, please upvote it! If you have suggestions, please comment them! Thank you! 8 or 16 people can participate; it doesn't really matter. This is THE best tourney suggestion I've seen so far! There are lots of people who think the presence of Uber Pokemon makes the game less fun, even if both players have them. I think Uber Pokemon should stay banned. Also what happens if both halves of a team share a Pokemon species? Should this tournament change or ignore the species clause? I'll host this one. I haven't hosted anything in a while. • Put your username in each of your original Pokémon's nicknames, (e.g. The Noby's Garchomp) so you can tell who's Pokémon you have. •I just thought this might be fun! If we get less than 16 players, can we start with 4v4? If we get more than 31 players, can we start with 2v2? We've all heard of Little Cup, and we've all heard of Monotype, but what about Monotype LC? You can use whatever type team you want, bar the 3 that are banned. to why a rule should be added or lifted, it will be done. Originally Ben's idea but since it didn't take off because we couldn't finish the other tourneys before time took off im re-posting. Which 3 types are banned? Can I use Ludicolo or Volcanion? Any other question please ask me via comments. Thank you one and all for reading. • Obviously, you must make a team with all the forms of Rotom in it. • Trick is banned. Debatable. • EVs have to be 80 in each stat. Debatable. Seems stupid, but it could be fun. We could through in something weird like each of them have to have moody as an ability. I like it. I'd definitely join this. I'd like to debate against the EVs rule, I think that ruins the interesting opportunity to attempt to create a viable team from Rotom forms. Remember Kyron's old Media tour? Thought I'd bring it back, but with a twist. All Pokemon have to resemble characters from anime (or manga). Let's give an example shall we? This is Natsu, from the Fairytail anime. He is (in his anime) a Fire attribute Dragon Slayer. He has the ability to both wield and eat fire. He is also equipped with specialized Dragon abilities, such as dragon scales and fire breath. This makes him a perfect candidate as the new Charizard form. Both are powerful and fight for their friends but are hot headed and unsocial otherwise, plus they both breathe fire ;P.
Tier is standard Gen 6 OU, normal clauses and whatnot. Please nickname your pokemon your characters names, to avoid confusion. and make it obvious what anime it's from. Keep replays too please. Sorry for necroposting, but I haven't been keeping up. Anyway, no calling any anime before (or if) the tour starts. We don't want people restricting other people who haven't even really seen it yet. No Digimon, Pokemon or [insert similar anime here]. That just creates way too much variety, you can basically just pick any team and find the according characters. Also, if I post my idea for a Fullmetal Alchemist tourney, is that too similar? :P I had some ideas where only certain Pokemon could be used, like Steel Types, Pokemon who obviously resemble the characters, etc. and a list. Post if you want, I just posted this tour because it's more wide-ranging that a tour based on a single anime. Also can we call animes when the tourny starts? Select all but Ubers. Must use generated natures. Yep, unfortunately, people can cheat. Based on MrKijani's "Battle of the Titans" idea, I have come up with the polar opposite. Yay! Each pokemon must be either under 2'4" Tall or weigh less than 50 Pounds. Height and Weight will be determined based on their pokedex entry. Types (Japanese: タイプ Type) are properties for Pokémon and their moves. Each team used in this tournament must have a designated type, and every member of that team must know at least one attack move of the designated type. If a Pokemon knows more than 2 attack moves, then at least 2 of them must be of the designated type. The tournament is subject to OU rules. Hidden power is treated as the Pokemon's hidden power type rather than normal type. Judgement and multi attack are treated as the user's type if used by Arceus* or Silvally while holding a plate or memory. Nothing else (not even abilities like aerilate) have any effect on the legality of a move, because those effects can be nullified during battle. You can take advantage of this, for example, by using Pinsir on a normal team (assuming Pinsir doesn't get banned anytime soon). *This rule has a tiny chance of becoming relevant someday if Arceus is ever un-banned. Woah my idea is on the first page. It's pretty much the polar opposite of Monotype, in that no two Pokémon on your team can share a single type. Other than that, standard Smogon OU rules apply, and, if this goes through, I guess we'll just have to see how many people sign up; no restrictions on how many (or few) participants. Not as extravagant as some other tournaments listed here, but simplicity has it's own charm to it. PS, if we want to make teambuilding an absolute horrorshow a bit more interesting, we can enforce that all Pokémon have to be dual-typed. I wish I could upvote this, it's really good. My idea is to have an OU tournament with one catch: every Pokémon has Wonder Guard. This will require a lot more strategy than other battles, since every Pokémon will have to be hit with super effective moves. Each team will probably have to have every single move type somewhere in their Pokémon's movesets. Each battle ends when either every Pokémon on one team feints or when one team becomes unable to hit an opposing Pokémon with any of its moves. So anyway, I think this would be a fun, interesting tournament to have. If you do too, please go ahead and give that upvote button a click. :) If you have an idea for a different ability every team member should have, comment it and it will be taken into consideration. Thank you! I have an ability idea: Speed Boost. Basically, if you switch out your speed is reset. Yep, this is 6th gen, so even the Ghost/Dark type can be hit. And btw either 8 or 16 people can participate. In this metagame, Stealth Rock damage can be any type. The type is based on the primary type of the Stealth Rock user. For example, if Skarmory uses Stealth Rock, it will deal Steel type damage on switch-in. Or if Garchomp uses Stealth Rock, it will deal Dragon type damage on switch-in. This means that if you set Fairy type Stealth Rock, it would be super effective against 3 types, resisted by 3 types, and neutral against 12 types. If you set Ground type Stealth Rock, it would be super effective against 5 types, resisted by 2 types, neutral against 10 types, and Flying types would be immune. Protean sets Rock type Stealth Rock. Dark type Pokemon are immune to Psychic type Stealth Rock. Flying type Pokemon, Pokemon with Levitate, and Pokemon holding an Air Balloon are immune to Ground type Stealth Rock (except under Gravity). Volt Absorb removes Electric type Stealth Rock. Water Absorb removes Water type Stealth Rock. Rapid Spin (without Scrappy) does not remove Ghost type Stealth Rock. Sky Battles were a new battle type introduced in X and Y, where they stayed because they sucked. But, they are an interesting concept! Sky Battles only allow Pokémon with Fly or Levitate that do not touch touch the ground — meaning that Pokémon like Spearow, Pidgey, and Gengar (who then had Levitate) could not participate because their models were grounded. The full list of eligible Pokémon is found here. There are also some moves that cannot be used in Sky Battles, which can be found here. I thought it would make an interesting premise for a tournament, so I'm suggesting it here! Let me know if it would be interesting. But what about the Sun/Moon newbies? That's my idea for a Sky Battle tournament :) It probably doesn't appeal to everyone's taste, but I thought I might as well throw it out there. Cheers! How is it a dogfight if neither dog Pokemon nor fighting Pokemon are allowed? Because a dogfight is what it's called when flying machines (like fighter planes) have a battle in the sky. Based on Shingeki No Kyojin's antagonists, the Titans, this tournament is a way for you to creatively use sets and ideas based on their behaviors. Titans are human-like creatures that find and devour humans for currently unknown reasons. They don't starve, so it seems they do it for annihilation. Years in, they were classified by a measurement system. I am translating them to Pokemon size, so they are divided by four. Then rounded for size groups. 7 meter class: 1.7 - 1.8 meters. 8-14 meter class: 2 - 2.9 meters. 15 meter class: 3.3-3.8 meters. Rogue / Coordinate is 15 meter class. Dancing is unknown. We'll throw it in the 8-14 meter class. Female Titan is 14 meter class. Armored Titan is 15 meter class. Beast Titan is 17 meter class, which is 4-5 meters. Colossal Titan is 60 meter class. 15 is too big, we will make it anything over 5 meters. List of Pokemon by height. The Rogue Titan doesn't work well with others. It cannot use support moves, it can only set up and attack. The Dancing Titan cannot attack special titans. The Female Titan is a loner, but can call upon other Titans. Must be the fastest member of the team. The Armored Titan has various speeds. Must have higher defensive stats than offensive. This is after EV investment. The Beast Titan has interest in humans. It also communicates with other titans, and has not attacked any notable things. Therefore, it cannot deal direct damage. You may not use Taunt on the Beast Titan. Non-special titans are mindless and can only use attacking moves. Each titan must appear once in the match. Also, you can't have two of the same special titan in a battle. This means you have to use two teams. 6 titans, 6 special titans. How will you organize them? Only a special titan can Mega evolve. Titans like to move together, so these will be double battles. That's a lot to take in. Different, isn't it? There will be 4 Groups; Group A, Group B, Group C and Group D.
Participants will be randomly assigned to one of the 4 Groups. Once you have been put into a Group with three other people, you will face them all exactly once. If you win the match you get 3 Points, I don't think you can draw on Showdown but if someone does manage to draw with someone else then they will both be reward with 1 Point. If you lose a match you get 0 Points. The two participants with highest amount of points will go through, in the event of two people having the same amount of points, goal difference in this case "Pokémon difference" will be taken into account to determine who advances and who doesn't. If two participants have the same amount of "Pokémon difference", then they will play a separate game to determine who advances. For all those who don't know what I'm getting at when I say "Pokémon difference" it's how many Pokémon of the opposition you faint to how many Pokémon of your's the opposition faints. Simple enough? After the Group Stage the winner of Group A will face the runner up of Group B, with the runner up of Group A facing the winner of Group B. The winner of Group C will face the runner up of Group D, and the runner up of Group C will face the winner of Group D.
Normal Smogon clauses apply e.g. Sleep Clause etc. Or and of course this is Pokémon so there will be a twist; Group A is NU, Group B is RU, Group C is UU and Group D is OU. The next leg after that is Ubers, then UU again for the semi-finals and OU for the final! Before I get some idiot who says "can more than one person from the same country compete?" or something ridicules like that. This isn't really a competition country wise but individual wise, to see who is the champion of the world! ;) Besides seeing how the majority of people are either from the UK, the US or Australia it wouldn't exactly be much of a tournament. >Also guys after some decisions we've decided it would be unfair to have the Groups different tiers even if people were being randomly assigned. So please vote in this straw poll what tier you want the Groups Stages to be. Thank you! Also guys after some decisions we've decided it would be unfair to have the Groups different tiers even if people were being randomly assigned. So please vote in this straw poll what tier you want the Groups Stages to be. Thank you! I was thinking about a tournament like this. But I already have 3 ideas on this thread. This tournament is going to be really fun. I wanted to post an idea like this at the start of the WC, but I couldn't word it properly. Anyways, +1! After hearing about things like monotype, monocolor/monochrome, and mono-generation, I decided to make a total rip-off of these ideas and post this answer. It'll be a single elimination tournament latest generation OU singles tournament, except all Pokemon on a team must share at least one egg group. Undiscovered counts as one egg group. "If the strong and able do too much, they limit the contributions of others. The strong must show restraint. This enables everyone to live together and share responsibility." 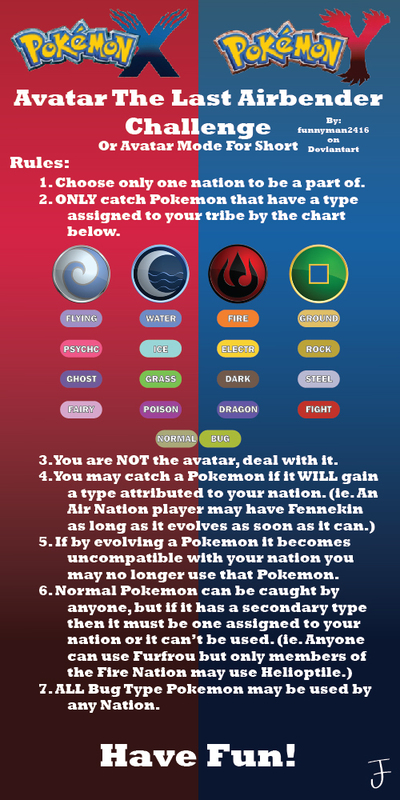 Every species of Pokemon (except those with no legal abilities) is allowed, but those on higher Smogon tiers must have lower levels. Based on statistics from May 2018, these are the max levels for each tier. I decided to split the Ubers tier into three parts, because Pokemon near the top of Ubers are significantly stronger than the ones near the bottom and I wanted to make the game fair for both groups. As for the details, this tournament will be set in Ubers, but use the OU banlist for abilities and moves. Light balls and Eviolites are banned. *Throughout this post, when I say 3.41%, I mean 1-(1/2)^(1/20). I say 3.41% because it's easier to type. If a generation started recently, and not all usage tiers have been out of beta for a month, then please delay this tournament until they are. If this tournament is to happen after I leave the site, then the host is to do this to determine the max level for each tier. for each playable tier. The numbers right before the .txt are GLICKO ratings. The higher numbers imply more experience, so you will use stats from players with the highest GLICKO rating (gen21ou-1825.txt in this case) to calculate the maximum levels. These calculations involve base stat totals. If a Pokemon can't change form on the first turn before anything moves, then the BST of the base form will be used. Calculating the ABST is pretty straightforward for the usage tiers (OU, UU, etc. ), as well as the Ubers Pokemon whose usages are between 50% and 3.41%. It's the average base stat total for the first 150% of Pokemon on the statistics you just found. The ABST of the Ubers Pokemon with more than 50% usage is calculated using the BSTs of all Pokemon in this "tier". The ABSTs for "borderline tiers" (Ubers UU, the BLs, and Untiered) is slightly more complex. Because they aren't playable, their ABSTs are calculated using the tier above them. The Pokemon used in the calculation are the first however many Pokemon were used for the tier above that were used less than 3.41% in the tier above. For example, if Ubers and OU used the first 3 and 4 Pokemon, then Ubers UU and BL will use the first 3 and 4 Pokemon with less than 3.41% usage. If a tier's ABST is lower than the ABST of the tier below, then the higher tier's ABST will be set to the lower tier's ABST for the next step. For example, if the ABST of OU is less than the ABST of BL, then the ABST of OU will be set to the ABST of BL. where a is the ABST of Untiered and b is the ABST of the tier whose max level you're calculating. Round down. Well, glad that's over with. Acupressure Maractus just beats PU. If the B button was your childhood friend, and you kept pressing it no matter how many times they told you to stop, then this tournament is for you. Players can't use anything that's fully evolved or not allowed in OU. What is a pokemon db tournament, and how do i participate in one? Anybody have a problem with making a tournament require at least four upvotes before going? Who wants to host the next tournament? Are we going to hide these answers or not?